My relationship with Curtin University began with giving regular talks for the Religion and Human Rights course and the Curtin University Buddhist Club. I was later awarded the John Curtin medal in 2004. I have engaged with Curtin on several occasions since, including the opening of the ‘Impermanence’ art exhibition, a presentation at the Centre for Entrepreneurship and the Public Dialogue with Archbishop Roger Herft in 2009. When a Curtin nursing student related a personal tragedy, I utilised that relationship to communicate her situation to the university, enabling her to continue her studies. The character of the university, in the context of its 50th Anniversary celebrations, has been described as one of innovation, engagement and inclusion and these are key features valued by the vibrant spiritual organisations I guide. 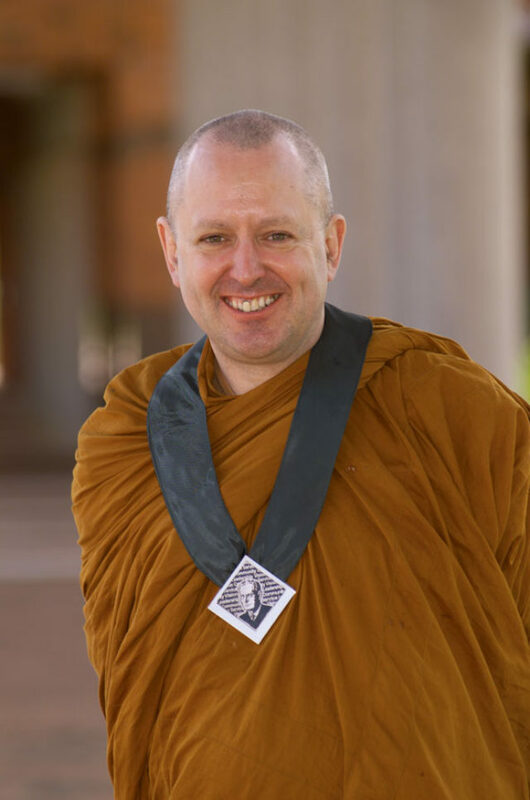 The Buddhist Society of Western Australia (BSWA) for example, has been innovative in educating the community about the Buddhist teachings and its practical application to life challenges faced by people from a diversity of social and economic backgrounds. From simple beginnings it has expanded since 1973 to include over 35 male and female monastics, with hundreds of regular visitors to its public facilities such as its retreat and city centres. Thousands of people worldwide also view the BSWA YouTube channel for inspiration and guidance. This utilisation of social media and the popularity of its content, illustrates the spirit of innovation expressed in communicating a profound ancient wisdom, to contemporary society. I hope the university continuous to thrive and celebrate the spirit of innovation, engagement and inclusion. Happy Anniversary!